Steven (Chicagoland, United States) on 1 October 2009 in Cityscape & Urban and Portfolio. 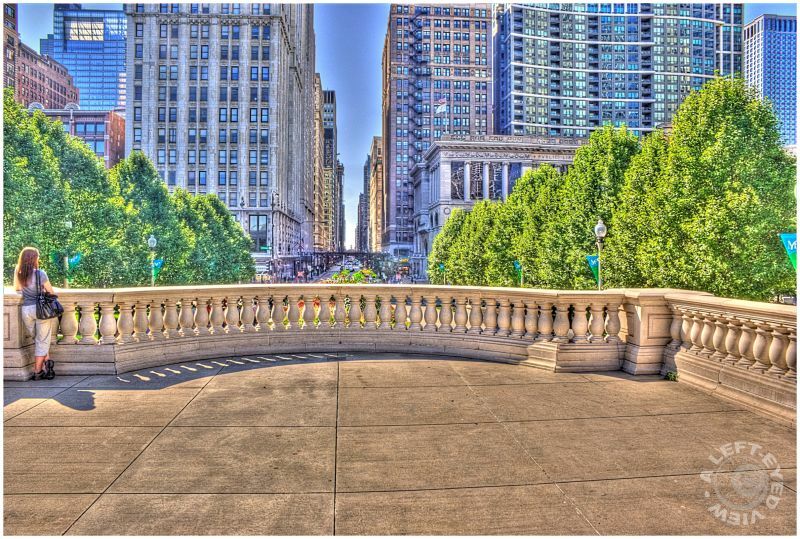 A view looking west toward Washington Street from Millennium Park on Michigan Avenue. The Chicago Cultural Center is just beyond the trees on the right. Photo taken September 13, 2009. Another fine HDR, keep your eyes open for my first HDRs in a couple of weeks time, tell me what you think. Great framing . Processing is excellent ! Nice capture. That is a very odd asymmetrical shadow. Your very nice HDR treatment gives this a kind of dreamscape, painting look. Very colourful and a great perspective! Fine details in this HDR - although the colors are just a wee bit too artificial for me, making it more like a painting than real life! Is that intentional? you are getting more and more clarity out of your hdr's -- faaabulous detail and light here! Great perspective and good job Steven . Your HDRs are quite an achievement!